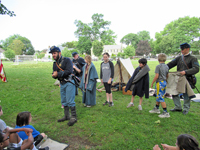 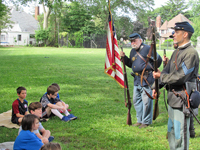 Unfortunately, a NYS change in the school curriculum that pushed the Civil War from 5th to 4th grade played havoc with our elementary school programs. 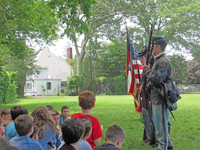 Our dual school program of Wilson and Covert elementary schools in Rockville Centre had to be cut to just Wilson but we still put on a good show in more reasonable June weather. 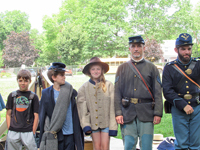 Hopefully, next year we will be back to teaching for both schools.